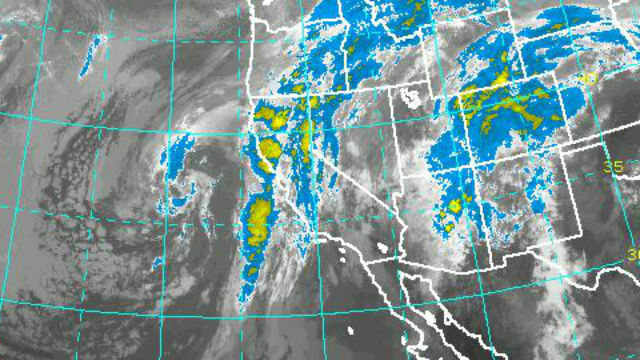 The remnants of Hurricane Rosa were expected to bring a slight chance of rain and thunderstorms to the San Diego region Tuesday. The storm already brought higher-than-normal surf levels to the coasts Saturday night. The waves peaked Sunday night through Monday evening, before decreasing Tuesday, according to the National Weather Service. Waves of three to five feet with sets to seven feet were predicted for San Diego County beaches, the weather service said. The swell direction was expected to give south-facing beaches the highest surf, such as Coronado and the Orange County coast. Meteorologists say Tuesday the storm will drop less than one-tenth of an inch of rain in mountain areas, such as Julian, in desert areas, such as Borrego Springs. San Diego was not expected to receive any rainfall Tuesday, but could get up to a quarter-inch of rain on Wednesday, according to the weather service. Much of the hurricane’s moisture dissipated Sunday as it moved into colder waters off the Baja California peninsula, weather service forecaster Ivory Small said. Rosa was a Category 4 storm on Thursday but was downgraded to Category 1 by Sunday. It’s now a tropical depression. The rain from Rosa isn’t all that’s in store for the region, though. A separate, more winter-like system could bring more rain into the area on Wednesday, Small said.